Why is our peak performance & stress management system relevant to your success? Few things pack the promise of one, deep breath. More than water or food, each breath is fundamental to your life force. Surya Success teaches a system of breathing that harnesses the power of an ancient practice which is known to help stimulate natural energy generation, activate different areas of the brain, and boost immunity by assisting to revitalize and strengthen your respiratory, neural, and endocrine systems. This life-long practice can be mastered in 12 weeks and practiced daily, anywhere you are. Specifically adapted and tailored for today’s modern CEO and executive, our customized programs provide a practical and impactful methodology designed to help build and sustain the balance of your mental, physical and emotional well-being. For corporations and professionals who are rushed for time and always on the go, Surya Success provides interactive technologies designed to quickly overcome stress and maximize productivity, impact, and influence. Busy executives can now have effective tools to get better, faster results and achieve peak performance, health, and success in just minutes a day. 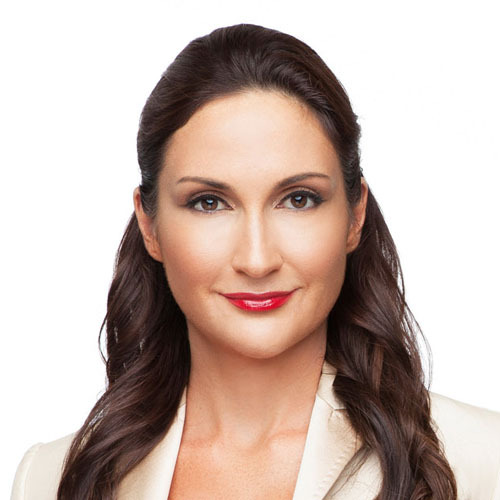 Sandra Galvagny, the CEO and founder of Surya Success, is an award-winning Global Product Design Director and visionary thought leader in global wellness, brand innovation, and emerging technologies. With comprehensive experience serving Fortune 100 companies and iconic brands, Sandra has a global perspective on the business world and achieving peak performance. Working closely with CEOs and high-level executives from some of the world’s leading companies, Sandra saw how stress can limit their business success and quality of life. As a solution, Surya Success was developed to innovate corporate culture and bridge the gap between health, wealth, and success, powering a network of business leaders who thrive on a healthy integration of work into a fully balanced life. Why is this the most important step you can take for your life now? Now is the time to leverage all that you are into the next best version of you. Expansion and growth happen on the inside first, before they can manifest on the outside. Your increased impact in the world begins by addressing specific issues that may be keeping you from moving forward. A marked increase in energy, vitality, clarity and concentration can be a direct result from the daily practice of Surya Success. Today, you are in the perfect position to begin to learn and master this breathing technology, so that you can begin to benefit from its power. You didn’t enroll in this program? Your decision would keep you exactly where you are right now. Therefore, you may fall prey to worry, fear, stagnation, stress, atrophy, distraction, overwhelm, anger, lack of energy and drive. You did enroll in this program? This decision would pay off by supporting you with an ancient technology that has worked for centuries. Your discipline and focus on this practice can change the way you move through the world - both in how you impact others and how you attract success and happiness. This leading-edge technology is the future. For those of us who’ve been doing this practice, we know its power. You now have access to a rich resource that is yours for the taking. It is a proven practice designed to add years of energy and abundance to your life. “I can release hours of stress"
"Brings me to the next level"
"My mind did not race for one moment"
Surya Success integrates a unique merging of the world’s most powerful healing sciences with esoteric traditions that date back to centuries ago. It’s the most modern application of this technology, packaged to be accessible and possible for anyone to practice anywhere. It is a science that is based on how the body receives and expels energy from its core, and how it distributes that energy throughout the body. Hailed as a profoundly powerful life-changing practice by the former Prime minister of India, this breathing technology sets its practitioners apart from other more yogic and meditative students. Our 12-week cycle takes you through 3 breathing exercises each week. These physical exercises fully engage your entire respiratory system and, in turn, stimulate your neural and adrenal activity. Each week is designed to address real-world challenges such as focus, communication, stress, patience and clarity. This is done by first targeting the mind on the matter, and then engaging in each exercise with intention and focus. The practice stimulates the body’s natural energy-generation. It can be mastered over a life-time but achieved in terms of rewards from the very first day of practice.